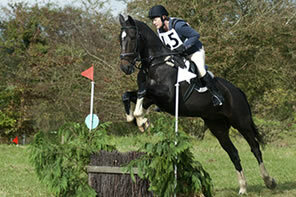 SENIOR INTERMEDIATE DRESSAGE QUALIFIER REPORT. Ten very competitive teams competed at a well organised day at Easton. Both our teams did well, the Bombers coming third with a score of 8. The Buccaneers coming fifth with a score of 14. The winning team had a score of 5. So it was a hard fought competition which went to the wire. All are riders did so well and were obviously committed to there team colleagues. I thank them for there commitment and hard work. Sometimes I think we forget the time and effort they put in prior to the qualifiers. Both Emma and Ben will be going to the Nationals and representing our club. I have a month or two off now, but I would like to thank all competitors who have competed at the winter novice ,intermediate dressage, and show Jumping at Wix. You have all been a pleasure to have on teams, and made it easy for me. As the manager of the senior teams I really look forward to next year. We have great members and others joining us which include some great juniors at the start of next year. in 3 days and 01:55 hours. in 10 days and 01:55 hours. in 17 days and 01:55 hours. in 30 days and 01:55 hours.